Quantum Touch is a type of energy healing that works with the life force energy (“chi”) of the body to promote wellness. Chi is the flow of energy in all of us that sustains life. Our bodies indicate that we are just material beings, but we are instead, fields of energy. As energy flows through us, our health and well-being depend upon a proper energy flow. Energy healing helps us regain harmony in our bodies. It can relieve fatigue, give our immune system a boost, reduce stress, and leave us feeling revitalized. But, different techniques of energy healing work to get different results. Like many massage techniques, Quantum-Touch often helps alleviate symptoms of pain, migraines, skeletal issues and many other chronic conditions. It depends upon two important laws of nature: resonance and entrainment. Facilitating Quantum-Touch requires life-force energy and body intelligence. A practitioner learns to create high vibration, which is where healing occurs, and the client’s energy will automatically entrain. Many types of therapists - massage therapists, acupuncturists, dentists, chiropractors, healthcare workers, massage doulas, birth assistants, nurses, physicians, osteopaths, and many other alternative health therapists have added QT to their therapies with wonderful results. Basic Level 1 classes covers therapy on both specific and general sections of the body, amplifying the energy using chakras, healing from a distance, group therapy, working with animals and self-healing. QT is now offering Level 2 advanced training and certification. This book, Quantum-Touch: The Power to Heal can explain QT in greater detail. It was written by Richard Gordon, who is recognized as one of the pioneers in the field of energy healing. Quantum-Touch teaches how to amplify, focus,and direct this energy, for a range of benefits with extraordinary results. 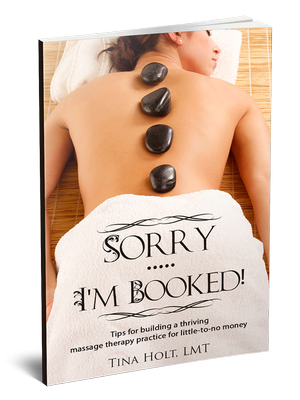 This is a wonderful method for reducing back pain , realigning vertabra, balancing glands and systems, reducing muscle aches, and healing injuries. It is easy enough to be learned by anyone, yet powerful enough to impress physicians, chiropractors, therapists, and many other health professionals. Many types of professional healthcare providers are recommending this therapy to patients to help encourage healing and facilitate a better therapeutic response. Quantum-Touch is simple, yet deeply healing. It’s easily accessible and a therapy skill you will have, and use often, in many different healing ways, for the rest of your life.